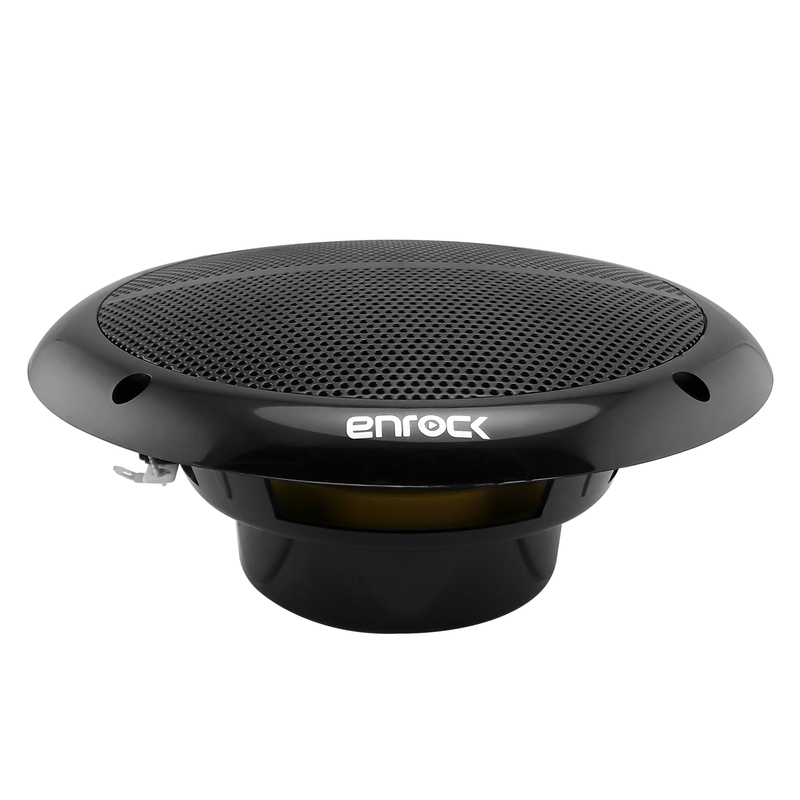 The high-quality 6-1/2" speakers feature one-piece baskets that keep water out and polypropylene cones that will withstand heat and sun. 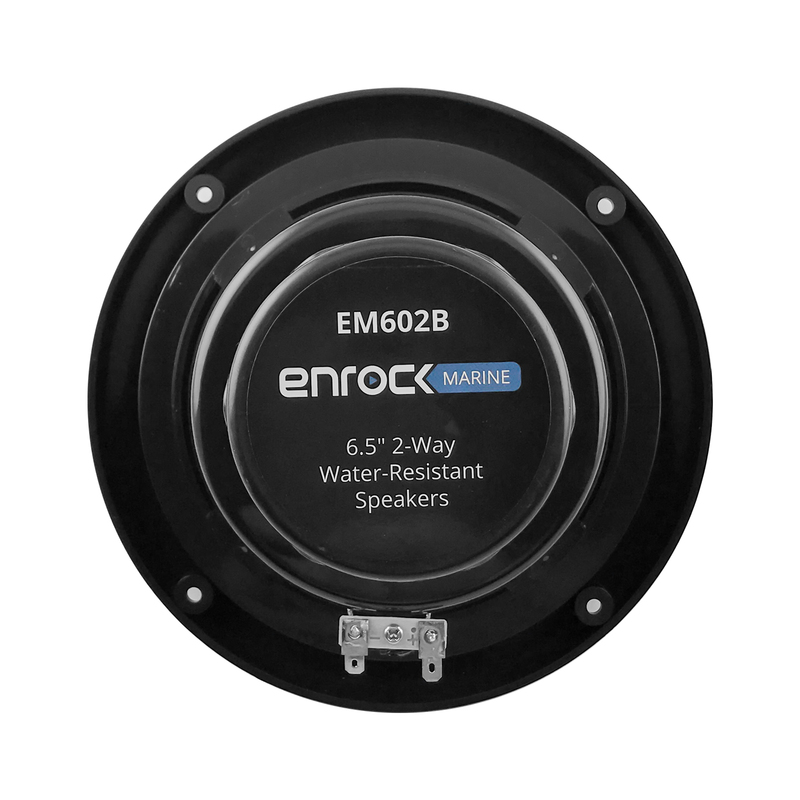 These speakers are constructed with thick, heavy-duty plastic, assuring you safety and durability in the marine environment. 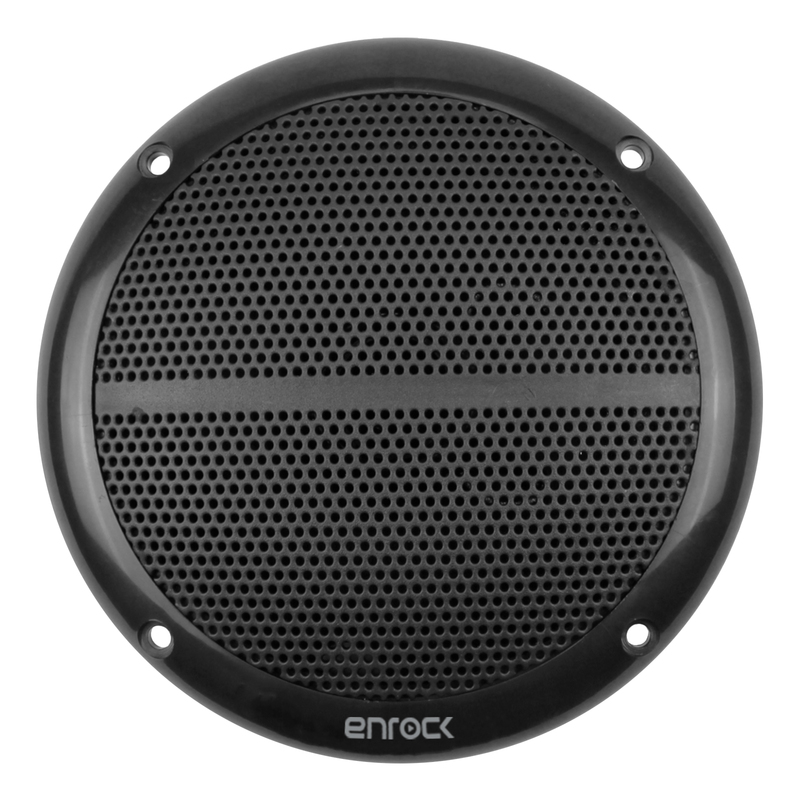 The hardware is equipped with rust-resistant material, and speaker surrounds are corrosion-resistant. Designed for years of trouble-free operation. "Type of tweeter. Common designs are cone, dome, semi-dome, balanced dome, and whizzer. Cone tweeters are efficient and the most economical. Dome tweeters, the type found in most home speakers, sound smoother and more precise. A semi-dome driver is one with a dome positioned inside a cone. ""Balanced dome"" drivers are semi-domes with equal reproduction area given the cone and dome shares of the driver. A ""whizzer"" tweeter is a separate tweeter cone driven by the woofer's voice coil. Type of tweeter. Common designs are cone, dome, semi-dome, balanced dome, and whizzer. Cone tweeters are efficient and the most economical. Dome tweeters, the type found in most home speakers, sound smoother and more precise. A semi-dome driver is one with a dome positioned inside a cone. ""Balanced dome"" drivers are semi-domes with equal reproduction area given the cone and dome shares of the driver. A ""whizzer"" tweeter is a separate tweeter cone driven by the woofer's voice coil. " An efficiency or sensitivity rating tells you how efficiently speakers converts power into sound. The higher the number, the louder the speakers will play. An efficient speaker helps you maximize your available power. The range of frequencies the speaker will reproduce (lowest frequency to the highest). Peak power handling refers to the amount of power a speaker can handle during a brief musical burst. The RMS power range number is a much more honest rating for determining the speaker's power requirements. The range of RMS power the speaker requires operating safely and correctly. RMS Power Handling states the amount of power a speaker can handle on a continuous basis. Materials the woofer is made of. To operate well, a woofer cone should be made of material that is stiff, yet lightweight. Poly cones deliver exceptional sound, and stand up to the heat, cold and moisture that car speakers face daily. Paper cones treated for moisture resistance also do an excellent job, and are usually very effective. "Poly" refers to Polypropylene, thermoplastic plastics or fibers that are polymers of propylene. "IMPP" is Injection Molded Polypropylene, a common material and process used in car speaker cone manufacturing. The Manufactures part number for product. The UPC Code for product. The warranty period for parts or labor. The unit of measure for product. Your browser appears to be missing a PDF reader plugin. You can download Adobe Reader or download the User Manual.